1811 Amandus Van Honsebrouck is born. He becomes a farmer and the mayor of Werken, where he also founds a brewery. 1865 After the sudden death of Amandus, his son Emile takes over the brewery at the age of 21. In 1900 Emile Van Honsebrouck moves to Ingelmunster, the birth village of his wife Louise. They found the Sint-Jozef brewery there. 1922 The 3rd generation, Emile’s sons Paul and Ernest Van Honsebrouck, take over the brewery. In 1930 they build a big new malt house and foeder room and in 1939 a brewing room, fermentation room, tank room and bottling plant. 1953 Luc Van Honsebrouck, the son of Paul, goes to the brewery school and does apprenticeships in Wallonia and Germany. He takes over the brewery and gives it the name Brewery Van Honsebrouck. 1955 Luc decides to stop brewing lager and to focus on the ’Old Flemish Brown’ Bacchus. In 1958 he starts with Lambic and later with Kriek under the name of Saint-Louis. 1969 Brewery Van Honsebrouck becomes the second largest geuze producer in Belgium with a contribution of 700,000 kg of malt. Thanks to sponsoring from Club Brugge footballclub since 1978, the production of Saint-Louis breaks the record with 1 million kg of malt in 1981. 1980 In response to the growing demand for heavy blond beers, Van Honsebrouck launches Brigand, named after the uprising of the Ingelmunster Brigands against the King of France in 1798. 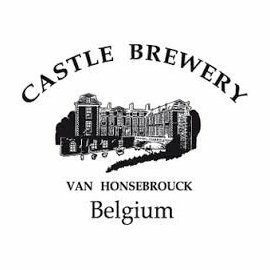 In 1986 the Van Honsebrouck family buys the Ingelmunster Castle and 3 years later launches Kasteelbier Donker. In 1995 the Castle spectrum is expanded to include a Tripel, in 2007 with Kasteel Rouge and in 2008 with a Blonde. 2009 With Xavier Van Honsebrouck the 5th generation takes over the brewery. His first achievement is the launch of Cuvée du Château, which rivals the 10-year-old Kasteel Donker. 2017 The brewery is planning to move to the 7,5-acre site of a former furniture factury in Izegem. The new brewery will have a capacity of 200.000 hl (doubling compared to the brewery in the centre of Ingelmunster), including an integrated visitor centre and a micro-brewery (where permanently new beers can be developed).